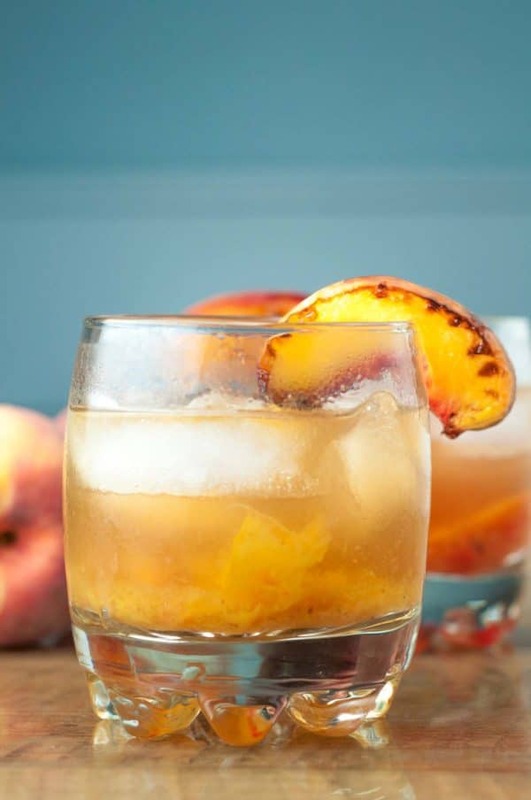 Roasted Peach Old Fashioned cocktail combines caramelized roasted peaches, orange bitters, and bourbon whiskey to make a classic drink even better. Place peach slices on a sheet pan and broil for 3-4 minutes until slightly charred and caramelized. Place 1 roasted peach slice in rocks glass with orange rind slice, cherry, sugar cube, and bitters. Muddle together. Pour in bourbon, splash of soda or water, top with ice, and give a quick stir. Garnish glass with additional peach slice.